Pistachio nuts are getting a lot of press these days. Not only are they the lowest calorie of the nuts, but they are rich in phytosterols, antioxidants, unsaturated fat (the good stuff), carotenoids, vitamins and minerals, fiber and are just plain delicious. If that isn’t enough information to entice you into growing pistachio nut trees, I don’t know what would be. 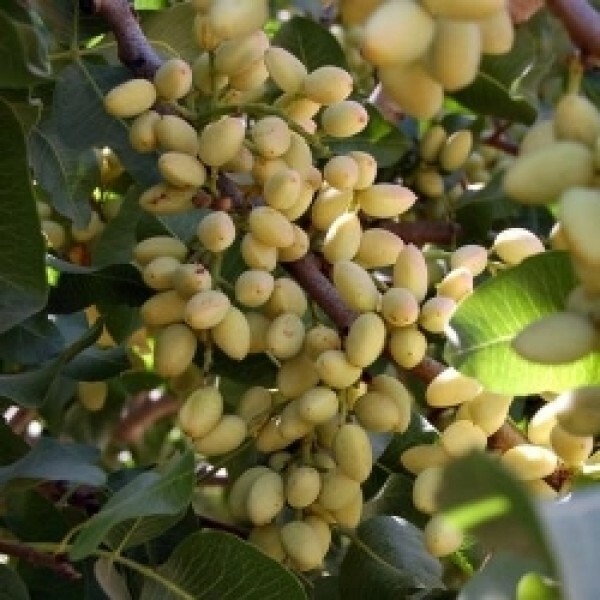 There are 11 species of pistachio nut trees with only Pistacia vera being grown commercially. It is uncertain where pistachio nut trees originated, but possibly in Central Asia. Growing pistachio trees commercially for nut export occurs primarily in Turkey, Iran, Afghanistan, Italy and Syria where the arid climate is optimal for growth. Climate is crucial when growing pistachio trees; ideal temperatures for pistachios are above 100 degrees F. during the day. Pistachios also need winter months cold enough to complete their dormant period, 45 degrees F. or below. In addition, pistachio nut trees do not do well at high elevations due to the cool temps or anywhere where it dips below 15 degrees F.
So it’s a little picky about its temperature requirements, conversely pistachio trees do well in all soil types but really thrive in deep sandy loam. Well draining soil is a must and infrequent deep irrigation if possible. Additionally, they are quite drought tolerant but do not do well in areas of high humidity.